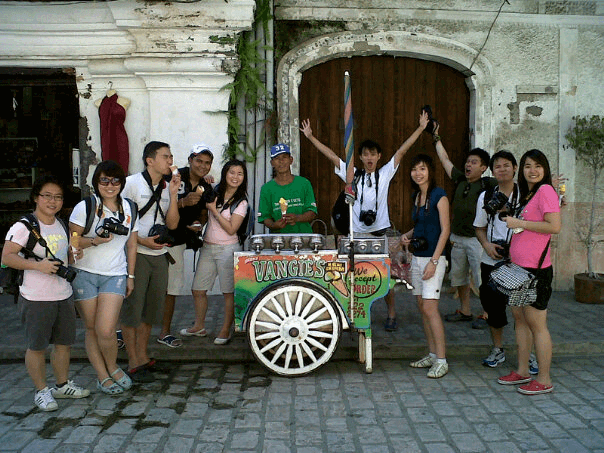 Featuring the 10 bloggers from Malaysia who travelled Northern Luzon, Philippines.Â Backpacking, with style! Sorry guys, I donâ€™t have any photos to show youâ€¦ but theirs.Â So follow them and check out their awesome photography and what they have to say about the Philippines. If youâ€™re visiting Manila, this is definitely one of the places you should go to. 1.Â Breakfast at Hotel Salcedo de Vigan.Â I had them try the Vigan Longanisaâ€¦ yum! I miss eating the longanisa now. 3. Bantay Church â€“ This church was breathtaking!Â I really hate that my memory card got busted because it was my first time here and I took nice photos.Â Well, lucky enough I had my blackberry with meâ€¦ I was live blogging and uploading all photos directly using Smartâ€™s GPRS.Â Anyway, this is the Bell Tower of the Bantay Chruch.Â This church was built during the Spanish period (1530s) and itâ€™s really really old.Â Itâ€™s three centuries oldâ€¦ and itâ€™s still standing strong atop a hill.Â We went up to see a very nice view of the Sierra Madre Mountains, Abra Mountain, The South China sea and the city of Vigan. 4.Â St. Paulâ€™s Cathedral and Plaza Burgos â€“ We dropped by these two places just to get some photos :)Â I also told them about the story of Padre Jose Burgos on whom they named the Plaza after.Â Padre Jose Burgos is one of the three martyr priests who became a very important part of the Philippine History.Â Three priests were executed by cutting their heads of during the Spanish Regime in 1872.Â The three priests are popularly known as Gom-Bur-Za (Padre Gomez, Burgos and Zamora).Â While riding the kalesa, we also passed by the Padre Burgos Museum. 5.Â Calle Crisologo â€“ I always feel like Iâ€™m in a time capsule dated a few hundred years back when Iâ€™m in this place.Â Vigan City is actually one of the UNESCO World Heritage Sites.Â Vigan City is known to be the â€œthe best-preserved example of a planned Spanish colonial town in Asia.â€Â The Calle Crisologo strip of preserved and maintained houses, cobblestoned street, and antiquities contributed a lot to this title. I explained how the Paoay Church was built.Â They didnâ€™t believe me at first lol.Â Most of the old churches here in the Philippines are built using egg yokes.Â People used to offer eggs for the church to be built.Â The egg yokes were put in between the rocks and corrals that make up the church.Â The church is also known for its huge buttress on the side as support. I feel so pandai (smart) now knowing our Philippine history woot! 3. Dinner at Saramsam â€“ This was one enjoyable dinner as they discovered the scrumptious delight the â€œpoque poqueâ€ (poki-poki) givesâ€¦ and yes, itâ€™s not a bad word 😛 Itâ€™s a yummyliscious local food in Ilocos made of Eggpant with tomatoes, onions and egg.Â We also ordered Native Tinolang Manok and Pork Adobo. 4. La Paz Sand Dunes â€“ 52 square miles of pure sandâ€¦ Did you know that Tom Cruise shot a movie here?Â They shot â€œBorn on the Fourth of Julyâ€ in this beach :PÂ woot! woot! this time, bloggers invade! 5.Â St. Andrewâ€™s church / Bacarra Church â€“ another gorgeous church in the town of Bacarra.Â You will pass by this town if you head from Laoag to Pagudpod. On our way to Pagudpod, we had 2 pitstops. 1.Â Faro Cabo Cape Bojeador â€“ built on top of a hill overlooking the South China Sea.Â This lighthouse is still fully functional and is still working as of date.Â Itâ€™s more than a year old as it was built in 1887.Â Itâ€™s the highest lighthouse above sea level in the whole of Philippines.Â The hillâ€™s name is Vigia de Nagparitan. 2. Bangui Windmills â€“ always my favorite part of the Northern Luzon trip.Â I am an environmentalist and I promote taking care of the environment in my blog.Â The windmills are definitely a geeky cool way of keeping Philippines green.Â It supplies 50% of energy of the whole Ilocos, which is also the same power requirement of SM Megamall.Â Amazing isnâ€™t it!? 3. Patapat Bridge / Patapat Road â€“ Itâ€™s the highwayâ€¦ the view is spectacular!Â First time I passed by this road, I didnâ€™t know this was an attractionâ€¦ It was just breathtaking that I didnâ€™t feel like I was in the Philippines or something. Anyway, we stopped by the middle of the road to take pictures lol. 4. 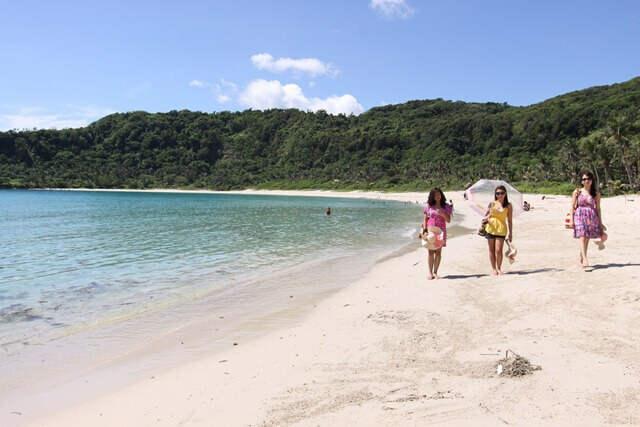 Blue Lagoon â€“ You just need to come here to feel what we feltâ€¦ The most relaxing trip ever, we ended our Northern Luzon trip on the beautiful beach of Blue Lagoon. 7. Kabigan Falls â€“ Mountains, Beaches, old towns and cities, whatâ€™s next? Waterfalls! We had to trek for 20-30 minutes to the waterfalls and back.Â We had a really lovely view on the way, rice crops were everywhere.Â You see grasshoppers, dragonflies and many more.Â The only thing you need to worry about is the heat of the sun.Â Make sure you wear proper sun protection while trekking.Â You can spot me using Vaselineâ€™s sunblock in the pictures. Also, make sure to be hydrated.Â Bring your own water or buy buko juice which is being sold on the way.Â Bring umbrella if you want because the noon sun is really burning.Â So, the tour guides suggest that the earlier you trek here, the less hot it is.Â But let me tell you, once you take a dip on the waterfalls, itâ€™s all worth it!!! la la la! Come again soon you guys! wah… sige balik tayo mga nyoks malamang di pa nakakapunta! and halurr tayong lahat fwede mag tour guide nalang tayo… woot! I miss seeing your sweet face la. August faster come, so that I can see you again. Keke! Change link to aaronwoolala.com can. Thank you for guiding us around in Philippines 😀 We see you in Malaysia! Oh ya and the item #5 – OMG! Can’t i sit in a more pleasant wayyy?! wooooots! hang saya2x! ~~~ waaaaaah eng..eng…..
I’m green (correct me if it’s not the right color) with envy at the hot DSLR cameras all of you guys are toting around. Whew! I have yet to buy one for me. 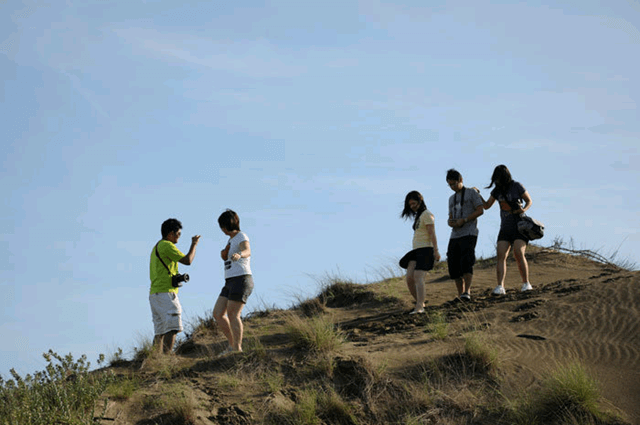 A trip with fellow bloggers. That’s something I aspire to experience too someday. WOW, now that’s efficient! i have 3 more entries on Bali, Indonesia and then it’s Philippines! Glad I’ve finally found sothmeing I agree with!